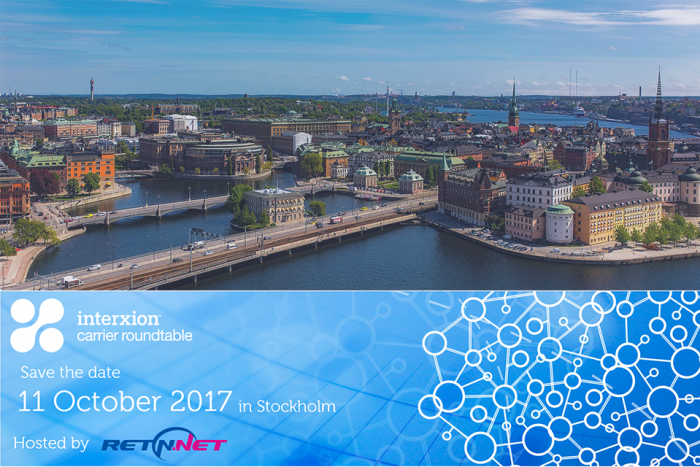 In a few days time RETN will act as a proud host of Interxion Carrier Roundtable. Members of Interxion Carrier Roundtable community will gather to attend the RETN seminar dedicated to one of the most exciting topics in telecoms industry: connectivity between East and West, Europe and Asia. RETN’s speaker Daniel Sjöberg, EVP Strategy&Business development, will cover main aspects of the topic and take part in panel discussion afterwords. We are looking forward to the networking event and will be happy to welcome all guests. See you in Stockholm on 11th of October.